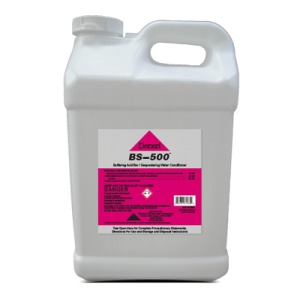 BS-500™ is a blend of buffers and sequestrants designed to enhance performance of pesticides negatively affected by hard water. Can I use BS-500™ with all herbicides? 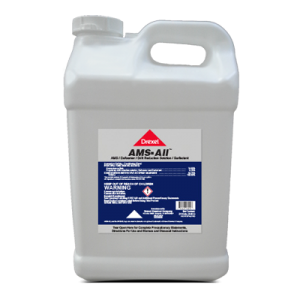 No, use this product only with herbicides which are compatible with low pH (acid conditions). The activity of BS-500™ in water renders iron cations inactive, improves solubility of calcium and magnesium salts and lowers pH levels whereby herbicide performance can be improved.